Two Bedroom/1 Bathroom Apartment with large deck. Vaulted ceilings and a spacious floor plan. 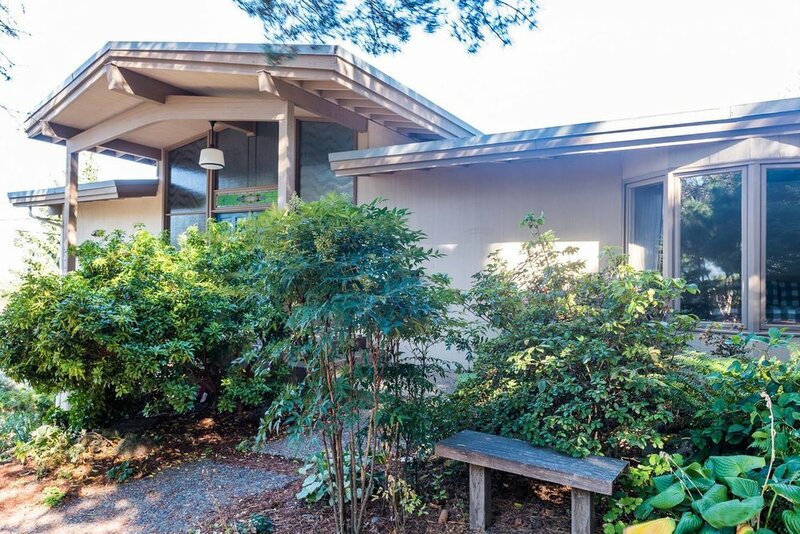 This home has amazing, sweeping views just minutes from OHSU and downtown. Unit A is on the top floor of the duplex and has two comfortable bedrooms with large picture windows and one bathroom. 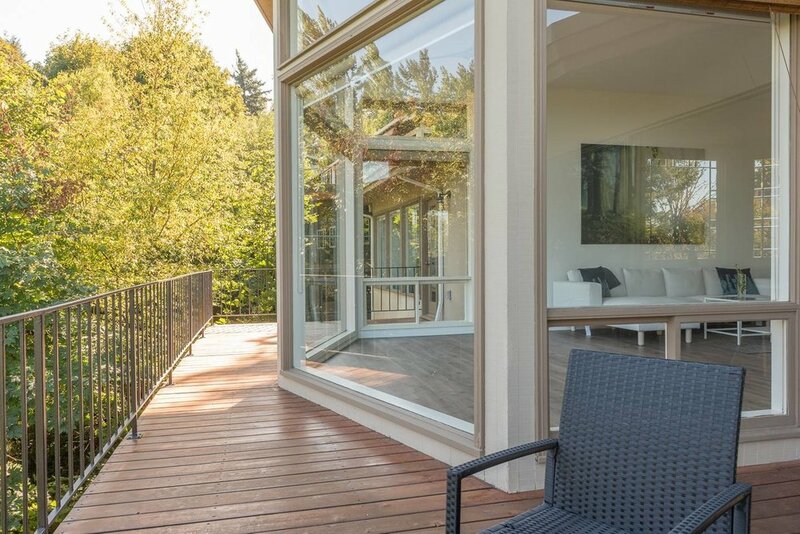 Large deck overlooking a deeply forested area with ample space for outdoor dining. Amazing spacious kitchen, with tons of cupboard space and a built in microwave. Unit A (Main Floor) Also has access/use of a single car garage, and there is a shared laundry room for both Unit A and Unit B.
Amazing view property, soaring windows and vaulted ceilings.